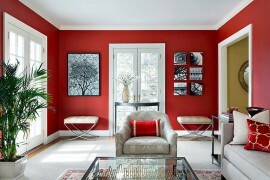 There is no arguing that the stylish accent wall is the most popular accent feature in living rooms across the world. 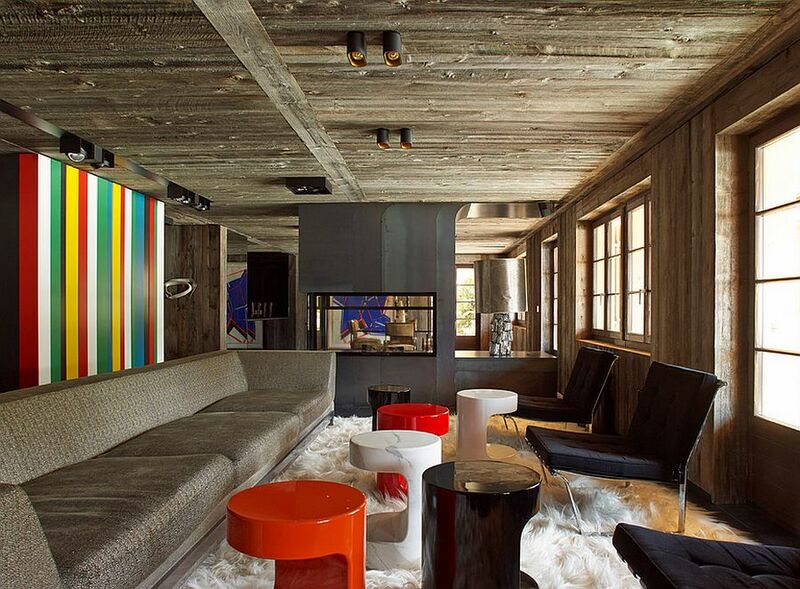 It is easy to create, often requires very little effort and allows you to add color, pattern and texture to the space with absolute ease. 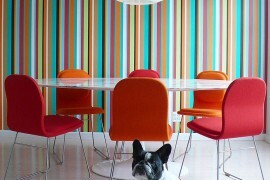 While there are plenty of directions you can take on the accent wall, few come close to the diversity, energy and playful sophistication of those with stripes. 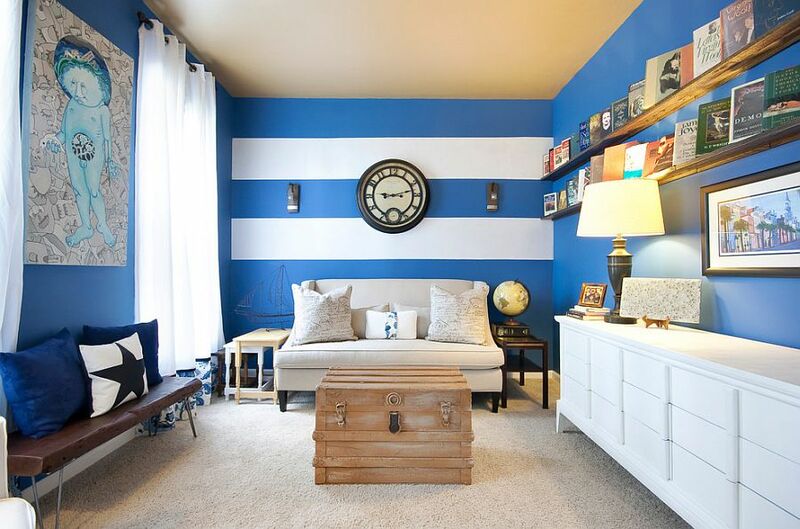 Striped accent walls come in a variety of forms and they can create an instant focal point in the room while providing the perfect backdrop for the decor and accessories of your choice. 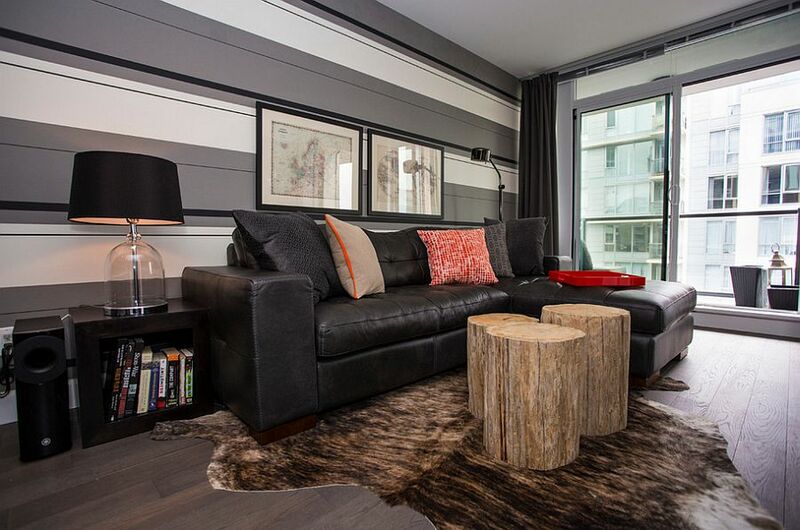 Whether you like thin horizontal stripes, thicker vertical ones that bring drama to the space or eclectic patterns that move away from the mundane, there is something for everyone here! 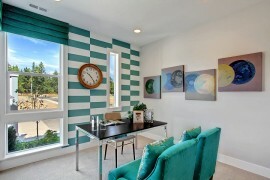 Fitting in with any theme that you have going, accent walls with stripes allow you to play with both color and pattern. 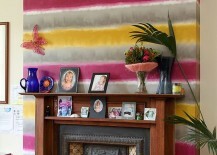 And the 15 amazing inspirations on display today will surely inspire you to show your true stripes as well! 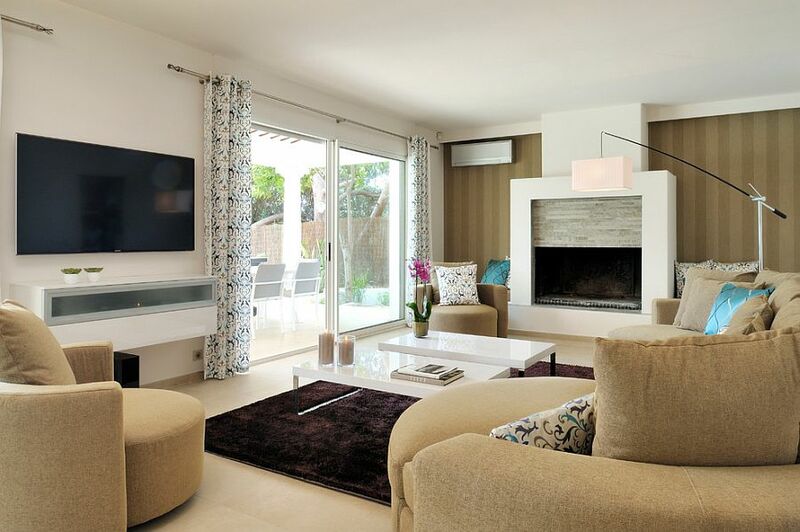 Most modern homeowners are opting for living rooms that have a cool, neutral color scheme and switch between accent additions seasonally. 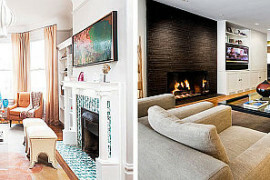 This not only keeps the appeal of the space fresh over time, but also allows you to switch between the hottest colors and seasonal trends without having to make sweeping changes. 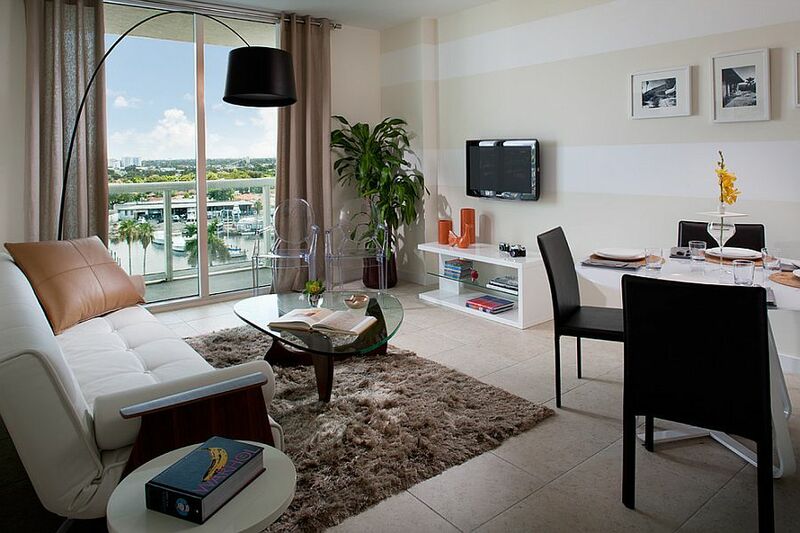 An accent wall with multi-colored stripes is a perfect addition to such a setting, and it stands out as a bold statement piece as well. 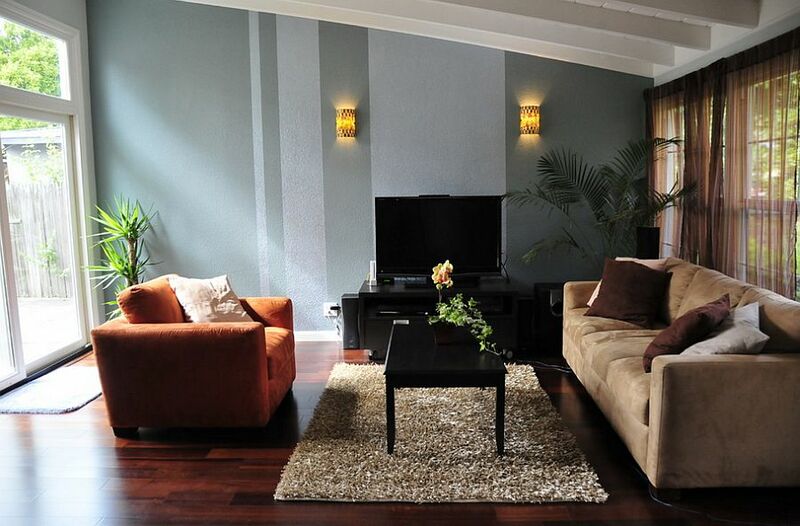 A bright and vivid striped accent wall also can highlight an architectural feature of your choice in the living room (like a fireplace), and using contrasting colors adds to its visual appeal. 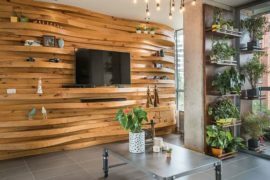 While a living room accent wall with stripes in bold colors looks absolutely sensational, it might not be ideal for those with color commitment issues. 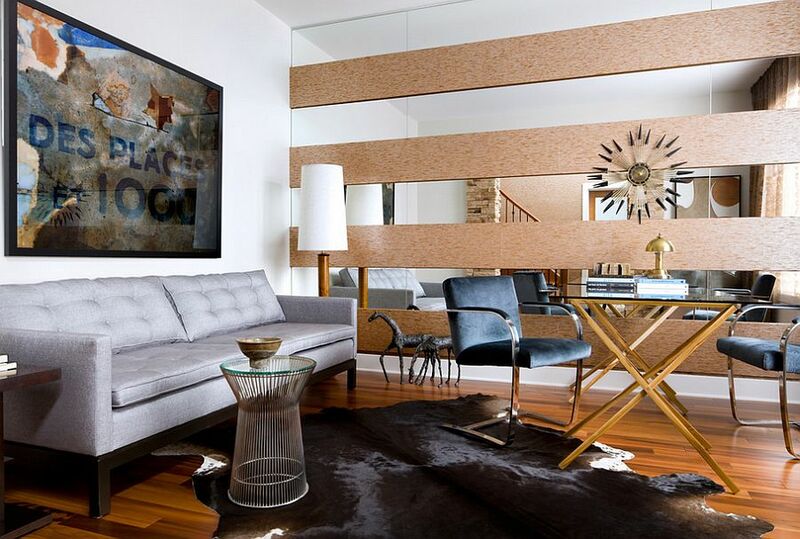 Moreover, most people seem to detest a splurge of bright color in the living room and want an accent wall that complements the color scheme in the rest of the space. 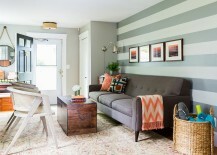 Take a tone-on-tone approach to the stripes and use subtle color or shade differences to shape such accent walls. Stripes in the same color but with a different shade, hue or even intensity can make as much impact as those in contrasting colors when done right. A good way to approach this is by using the color that adorns the walls in the remainder of the room for one of the stripes and choosing a lighter or darker shade of it for the other. 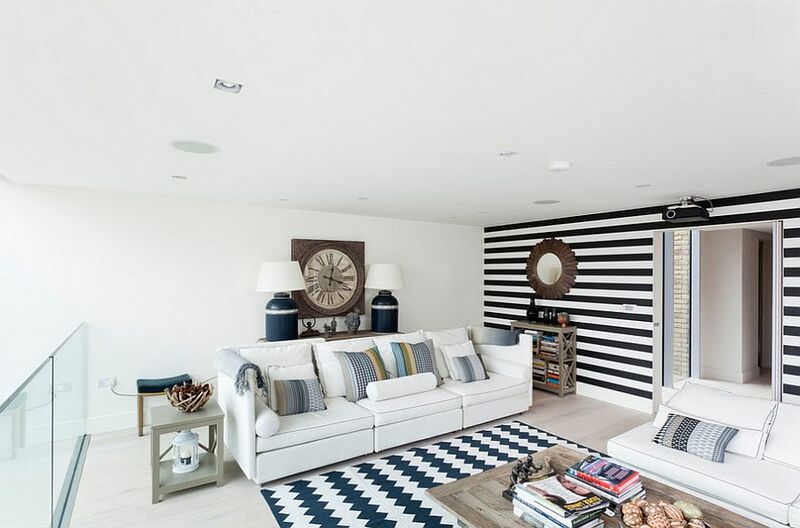 If you have an all-white backdrop in the living room and want to take a timeless approach, the classic black and white stripes are indeed the best option. 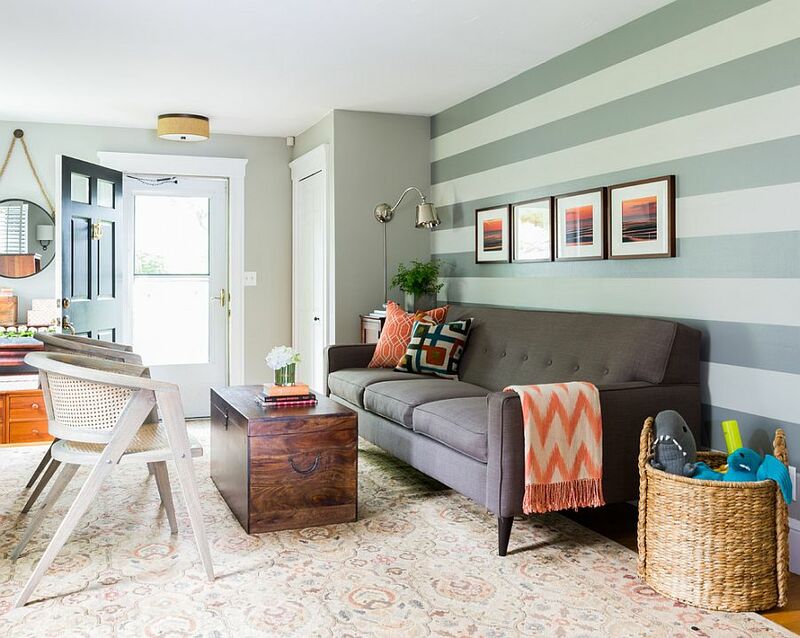 When we talk of living room accent walls and stripes, the first idea that the mind conjures up is of horizontal stripes using paint. But there are plenty of other choices on offer, and the resurgence of wallpaper means you can even use bold wallpaper stripes in alternating patterns to create an accent wall with bold color and pattern. For those looking to usher in textural contrast to a room filled with glass, stone and concrete, stripes using grasscloth provide a fun and easy alternative. 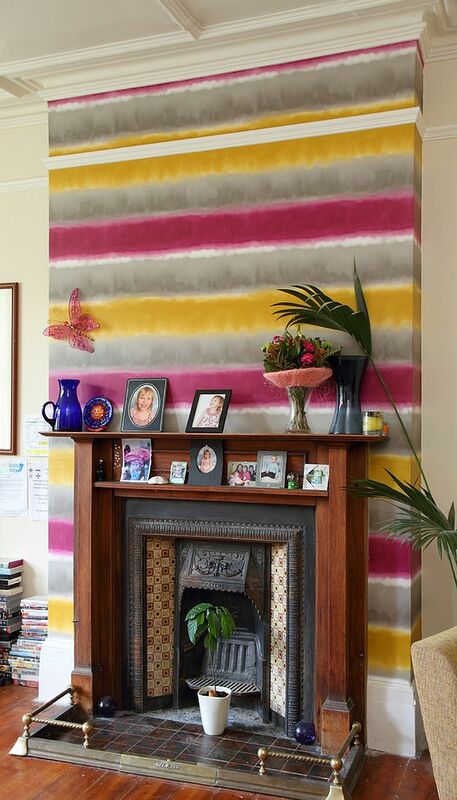 Remember that there are plenty of other ways to add stripes to the room beyond paint that are equally easy to execute and far more innovative. And finally, there is the case of the vertical stripes! For some reason, they have always taken a backseat to their more famous horizontal cousins. 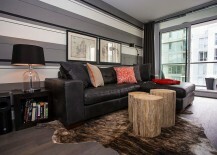 Vertical stripes give small living rooms with low ceilings visual height and definitely give it a more airy appeal. 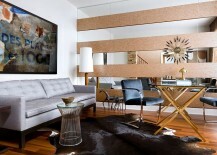 Broader vertical stripes seem a lot ‘cooler’ and they also give the room a more organized and refined ambiance.